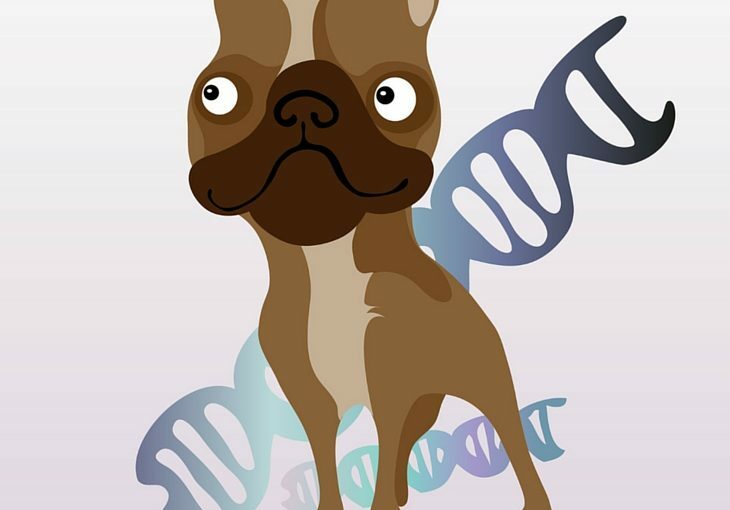 Why Dog Genetic Markers Matter! Dog DNA tests are now being offered in the $60 to $250 price range, with the most popular tests falling within the $80 to $130 range. This makes these screenings affordable to most dog parents and dog breeders. While most of these dog DNA tests focus on determining the breed heritage of a dog, some of them identify dog genetic markers that are associated with known canine diseases and other health issues. For example, Canine Health Check, developed by Genetic Veterinary Sciences, Inc., also known as Paw Print Genetics, checks for 150 potential mutations that are known to cause specific health issues in dogs. Before we explain how these genetic reports can be very useful to dog parents and dog breeders, we need to explain some of the science behind gene expression. The dog is only a carrier of the specific health problem and will not be affected. However, he or she can pass this gene mutation to about half of their offspring. This of course has huge implications if you plan to breed your dog. The dog will have the health problem identified themselves and can also pass it on to their offspring. Like humans, dogs get two copies of every gene, one from their father and one from their mother. Each copy of each gene is either dominant or recessive. If a gene is dominant, it will express itself even if there is only one copy from one parent. On the other hand, if a gene is recessive, it will only express itself if there are TWO copies of the recessive gene, i.e. one copy of the recessive gene from the father and one from the mother. Hyperuricosuria (HUU), caused by a genetic mutation, is a condition in dogs that causes elevated levels of uric acid in the urine. This can predispose a dog to developing kidney stones that are painful to pass, and often times, must be surgically removed. Furthermore, these kidney stones can become lodged in the urinary tract which can lead to life threatening situations. The high acidity levels also often lead to recurring urinary tract infections that can make a dog miserable, lethargic, and not even willing to eat or play. HUU is most common in Dalmatians, Bulldogs, and Black Russian Terriers. Of course, if you have a mixed breed dog with heritage from one or more of these breeds, your dog would also be at higher risk for carrying this disease and having this disease. Remember, you can't tell the full breed heritage of a mixed breed dog just be looking. The mutation that causes HUU, called SLC2A9, is on a recessive gene. Therefore, it is possible for a dog to have a single copy of SLC2A9, i.e. be a carrier for HUU, but never actually express the problems associated with HUU. However, responsible breeders will not want to include a dog who is a carrier to HUU in their breeding stock. Furthermore, if you are a dog parent of a dog who is a carrier of HUU, you may not want your dog to have offspring since about half the puppies would also be carriers of the HUU SLC2A9 mutation. Moreover, if a dog who is a carrier of HUU mates with another carrier dog for HUU, about half the puppies would actually have HUU! If you have your dog tested and it turns out that he or she has two copies of the HUU SLC2A9 gene, there are several precautionary steps you can take. First, you may want to make sure you have pet insurance and or increase your pet insurance coverage just in case you have to take your dog in for surgery or rush to him or her to the veterinarian after hours as these measures can be quite expensive. Alternately, you may want to set aside an emergency fund for your dog. Since you would then know that your dog is super sensitive to developing kidney stones and infections, you can take extra precautions to ensure he or she is fully hydrated at all times. Even slight dehydration in a dog that has HUU can lead to kidney stones, bigger stones, and infection. You can also make sure that he or she is taken out frequently for walks so they never have to "hold their bladder" for too long as this too can put them at higher risk for developing stones and infection. For example, if you work and leave your dog at home alone, you may need to hire a dog walker and or get your dog walker to add an extra dog walk if you discover your dog has HUU through DNA testing -- this is true even if your dog has not yet shown obvious signs of having HUU. You can also modify your dog's diet to lessen the uric acid levels and the probability of developing kidney stones and infections. The most important variable in this is to avoid feeding a HUU dog high-purine foods such as beef, soy, grains, and liver. While there are commercial low-purine food formulas available, it is actually better to make homemade low-purine food, because the commercially prepared low-purine foods usually do not contain enough protein to maintain good health in a dog. Finally, you can monitor your dog's urine pH with pH strips that can be bought at any drug store. You can also look for grittiness in their urine samples which may be signs of tiny stones, and at the same time, you can look for pus which indicates infection. If you notice a decrease in pH, i.e. an increase in acidity, or grittiness or pus, you can be proactive to get that pH under control again. This may mean being more careful with the diet, encouraging your do to drink more water, taking your dog on more bathroom walks, and possibly asking your veterinarian to prescribe antibiotics to prevent a mild infection from becoming a full blown infection. You may also want to ask your veterinarian to perform a urinalysis more frequently to look for the early signs of kidney stones. Without a dog DNA test that specifically looks for the mutation that causes HUU, most dog parents would never know their dog has HUU until their dog is really suffering or actually gets into a life threatening situation! They may never know that their dog is a carrier for HUU before they decide to breed their dog. Without this critical information supplied by dog DNA tests like Canine Health Check, they would never know to take these extra precautions to help their beloved dog with HUU live a longer life and more enjoyable life. 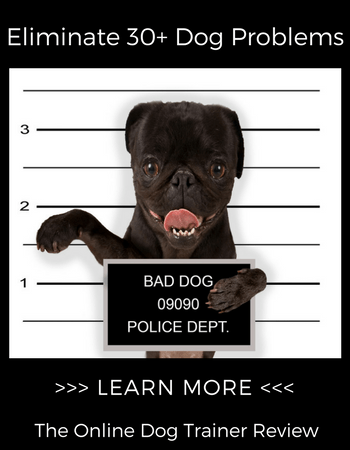 ​​​​So, to sum up, dog DNA tests have become easily affordable and can give you critical information about dozens of known genetic health issues in dogs. This helps you make better informed decisions about the care of your dog and the financial responsibility that comes with that. It can also give you peace of mind if no detected genetic mutations are detected in your dog. If you would like more information or would like to share your pooch related stories, we would love to hear from you!